I struggle with writing motivation all the time. As a freelance writer, I am so often working on content for other people’s websites that I don’t take the time I deserve to hone my craft and write stories that I’m actually passionate about writing. I’m reminding myself more and more that, if I’m not passionate about writing it, odds are people won’t be very passionate about reading it either. 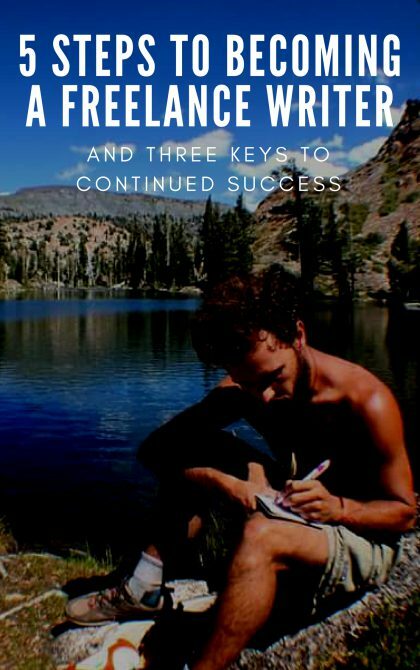 So, in order to drum up some writing motivation for myself, and to share my journey with you, I’ve researched and compiled these five author success stories to help you remember that it’s not about the obstacles, but it’s about our ability to overcome those obstacles and achieve our dreams! If none of these stories spark you to start creative your own written masterpiece, don’t worry! I’m not offended. But don’t leave so quickly! I’ve got plenty of other content you might enjoy, including Book Reviews, Writing Tips, and My Books! If you’re looking for a freelance writer to contribute guest blogs or ongoing paid content, please read through my Services and shoot me an email detailing your project! Although I personally haven’t read any of King’s novels, I found myself identifying with his story because it seems to contain the lesson that it is rare for us to find the ideal job right out of college. I know I sure as heck didn’t! King was born in Portland, Maine in 1947. His parents split up when he was very young, so he split his time with them between Indiana and Connecticut in his early years. King, his mother, and his brother later moved back to Maine, where he completed high school. King stayed locally for college when he attended the University of Maine at Orono. While pursuing his degree in English, King wrote for the school newspaper and served as a member of the student government. He had his first short story published during these years and graduated in 1970. 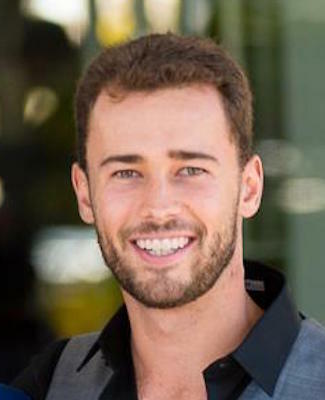 At first, he attempted to find a position as a teacher but was unsuccessful. 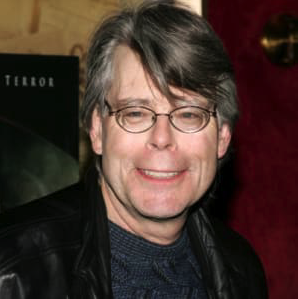 King spent time after college working in a laundry, a far cry from the acclaimed horror writer we know today. He continued to write short stories during this time and, in 1971, he was hired as an English educator at Hampden Academy. This new role allowed him to devote more time to writing and later that same year King married fellow writer Tabitha Spruce. Two years later, in 1973, King made his first successful sale of a novel. It was the tale of a tormented teen seeking revenge on his peers called Carrie. His novel would go on to be published a year later and was later adapted to the big screen. The success of his first novel allowed King to leave his job at Hampden and pursue writing full-time. The rest, as we say, is history! It’s hard to bring up inspirational stories of writers’ success without mentioning the first African-American woman to write a non-fiction bestseller. Maya Angelou was born in St. Louis, Missouri in 1928. By all accounts, she had a very rough childhood. Like King, her parents split up at a very young age. After that, Maya and her brother were sent to live with their grandmother in Stamps, Arkansas. As you might imagine, Arkansas was a difficult place for a young African-American woman to grow up. She experienced racial prejudice and discrimination firsthand, but the most awful event transpired when she went to visit her mother. During her stay, her mother’s boyfriend raped her. As an act of vengeance, Angelou’s uncles killed the boyfriend. Angelou was traumatically scarred from the incident and, as a result, she stopped speaking. She returned to Arkansas as a virtual mute. Angelou made a big move to San Francisco, California during World War II. She won a scholarship to study dance and acting at the California Labor School there, and also became the first black female cable car conductor during that time. It was a job she held only briefly and she worked several others to support herself and her son after he was born. During the 1950s, Angelou’s acting and singing career gained momentum. She appeared in several off-Broadway productions and released her first album, Miss Calypso, in 1957. As a member of the Harlem Writers Guild, she also organized and was the star of the musical revue Cabaret for Freedom during this time, which benefited the Southern Christian Leadership Conference. 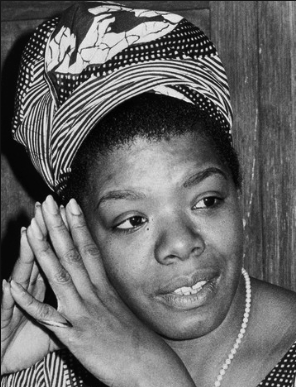 Angelou then spent much of the 1960s in Africa, working as an editor and freelance writer. For a time, she held a position at the University of Ghana. Her first memoir was published in 1969 and was the spark that launched her literary career. With encouragement from her friend James Baldwin, Angelou compiled stories from her childhood and young adult years. The manuscript became I Know Why The Caged Bird Sings, and it made Angelou an international star. 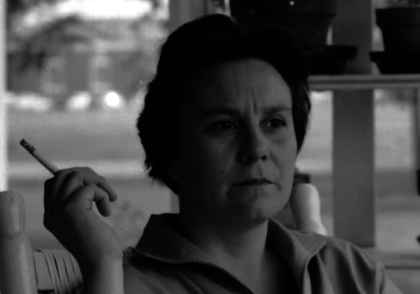 Harper Lee’s story struck me because it reaffirms that old saying that it’s all about who you know. Lee grew up in Monroeville, Alabama. Her father was a lawyer, member of the Alabama state legislature, and part-owner of a local newspaper in Monroeville. Her mother is believed to have suffered from bipolar disorder and is said to have rarely left Lee’s childhood home. In her college years, Lee was accepted into law school at the University of Alabama at Tuscaloosa. She gave law a shot, but her role as the editor of the school’s news publication helped her realize that writing was her true passion. She dropped out of law school after the first semester of her second year in the program and moved to New York City in 1949. She was 23 years old. For seven years she struggled to make ends meet in the city. She worked as a ticket agent for Eastern Airlines and the British Overseas Air Corp. The most important development in those years was the friendship she struck up with Broadway composer and lyricist Michael Martin Brown and his wife Joy. In 1956, the Browns surprised Lee with a Christmas gift that would change her life forever. They agreed to support her for a full year so that she could work on writing full time. They also helped her find an agent to publish and market her work. She immediately quit her job and dedicated herself to writing. The manuscript she started during that all-important first year eventually became To Kill a Mockingbird, which was published in 1960 and went on to win the prestigious Pulitzer Prize the following year. 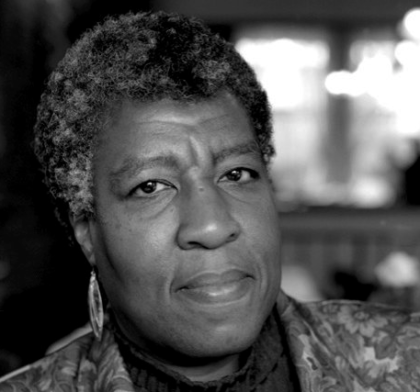 Octavia Butler’s story jumped out to me because it provides a real-life example that there are no odds too steep for one to overcome. Butler was born in Pasadena, California in 1947. She lost her father at a young age and was raised by her mother, who worked as a maid to support them. Throughout her childhood, Butler was ridiculed for her height and her shyness. She also struggled with dyslexia, which made school difficult. Still, she developed an affinity for books. As early as 10 years old, Butler knew that writing was going to be her life’s work. She would go on to receive an associate degree from Pasadena City College and worked to develop her writing skills and style under Harlan Ellison at the Clarion Fiction Writers Workshop. I wanted to reach a little further back in history to one of the most widely recognized writers of the 19th century. His story can give us some idea how much life has changed in more than 200 years, but it can also remind us of the elements of human existence that remain unchanged. Dickens was born in 1812 in Portsmouth, England. He was the second of eight children and, for the most part, his family was very poor. His father was a naval clerk with dreams of striking it rich and his mother was an aspiring teacher and school director. In 1816, the family moved to Chatham, Kent, where Dickens and his siblings explored the countryside and the old castle at Rochester. Six years later, when Dickens was 10 years old, the family moved again. This time they settled in Camden Town, which was a poor neighborhood in London. The family’s financial situation worsened, and two years later Dickens’ father was sent to prison for unpaid debts. As a result, Dickens had to drop out of school and go to work at a boot-blacking factory where he earned six shillings a week. Fortunately, the family’s situation improved when Dickens’ father received a family inheritance and was able to send Charles back to school. Just three years went by, however, before Dickens was forced to drop out again (presumably for financial reasons) and take a job as an office boy. He was 15 years old, but his experience in the office would lay the foundation for his writing career. Dickens would go on to marry and have ten children. In the 1850s, however, tragedy struck twice, as Dickens lost both his father and one of his daughters. The losses led to his separation from his first wife. 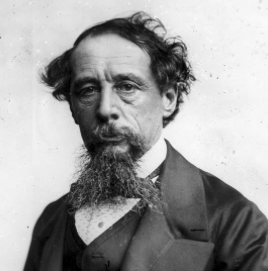 To this day, there is debate over the degree to which Dickens was involved in an intimate relationship with a young actress before, or after, he and his wife were separated. In 1833, Dickens first began submitting sketches to various magazines and newspapers. He did so under the pseudonym ‘Boz.’ His first work, Sketches by Boz, was published in 1836. In the subsequent years, he began publishing The Posthumous Papers of the Pickwick Club and serving as the editor for two magazines, one of which he founded. In 1842, he traveled to the United States for a five-month lecture tour. This was shortly after he had published his first novel, Oliver Twist. The novel had gained him considerable notoriety before his arrival, but his staunch opposition to slavery, a topic he spoke on frequently during the tour from Virginia to Missouri, ruffled some feathers on his U.S. visit. When he returned to Europe, he would struggle to recreate his early success, although he published a number of amazing titles that are still widely read today. Some of them include A Tale of Two Cities, Great Expectations, and the holiday favorite starring infamous curmudgeon Ebenezer Scrooge, A Christmas Carol. What techniques do you use to get out your notebook and start brainstorming? Do you commit to regular exercise designed to improve your writing skills? Are you working out your creative brain just as much as you work out your physical body? As a published writer who aspires to create more works of fiction, non-fiction, and poetry in the years ahead, I’m constantly in search of new ideas that help me cultivate writing motivation and fine tune my writing skills. I’m also very interested in the stories of successful authors, as they provide insights into the creative journey and lessons that I would only learn the hard way without reading about them first. Please leave a comment below if you are inspired, perplexed, saddened, or angered by any of the stories presented above. I welcome any and all comments and will do my best to respond hastily. I’d also encourage you to share this with others if you found it particularly insightful or helpful. Be sure to tag @ballisterwriting onFacebook or Instagram if you do! Tucker, I desperately needed some inspiration! I have 4 non-fiction books published on Amazon and they bring in a trickle of royalties. But I have a work of fiction in the works. The problem is that it’s been “in the works” for several years. Occasionally I get it out, reread what I’ve already written, get inspired and then knock over a few more pages. Then back it goes onto the digital back burner as I go back to my niche websites and write some more content. Writing blog posts is so much easier than writing a novel. Do I need inspiration, or simply a plan? After reading the stories behind the 5 authors that you showcase, I realize just how easy we have it. I think I’ll stop moaning and get back to work! Phil! It sounds like we need to talk. I have self-published two non-fiction books on Amazon and they too provide only a trickle of royalties. I’ll be honest that I’ve been inconsistent (at best) about promoting them, but I have a third non-fiction manuscript in the works and I’m thinking hard about finding an editor and publishing agency on this go-round. I agree with you that writing blog posts is so much easier than writing a longer book. I had the goal of finishing my manuscript this spring, but I literally haven’t added a single page to it for over a month. The reason I wrote this post is exactly to provide motivation for other aspiring writers! Hello Tucker. 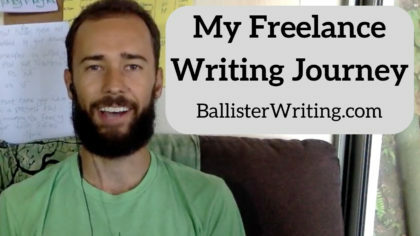 The Ballister Writing blog is my favorite. My favorite hobbies have been read and write from boyhood. I’m so excited to have the success stories of five writers together. Among them, I was familiar with Charles Dickens’s writing only. Its true in the twentieth year the world has changed a lot, but his reputation remains unchanged. I read many times from Virginia’s Missouri and Great Expectations books. Although Harper Lee’s name was heard somewhat, the rest were unfamiliar to me. It’s great to know about their life and writing skills. The Writing Motivation section as a rising writer has inspired me more. Thank you very much for the beautiful and marvelous reviews. I hope to hear from you in the next article. Sincerely, Ranao. Hi Ranao! Thank you again for your kind words. I’m glad you found inspiration in this blog and I look forward to seeing what you create! Hi Tucker, very interesting post about writing motivation. I really like reading your post about 5 authors short life story, it is really inspiring. I won`t described every single story of those writers separately but I can say that when you read all of them, you have a feeling that in life everything is possible but you need to do something for it and have a little luck. I don`t write books but I read them when I have time. I like your website, thanks for sharing with us! You’re very welcome Luke! I think you nailed the central themes I was trying to convey in this article. 3. A bit of luck never hurts! Although I am not a fan of novels, I recognized some of the names you have mentioned here especially Stephen King and Maya Angelou. They are displayed side by side with the books that I love which mostly are business books. I like the authors Robert Kiyosaki and John Maxwell. In the last part of this article, you mentioned about regular exercise designed to improve your writing skills. Can you share more on that exercise? 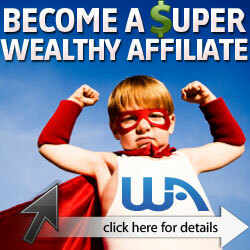 I am an affiliate marketer who likes to write about products through reviews, I don’t aspire to become a writer of books or author of novels. What I want is improve my conversational tone in writing just like yours. I am not a native English speaker, I am from the Philippines. Can that exercise help me achieve that? Will you please share more about that writing exercise? Hi Gomer! I’m actually going to be writing an article to share several exercises to improve your writing later this coming week. I’d love to get your feedback and I’ll ping you again when the post is live! If you like it, I’d love it if you leave a comment and let me know which exercise you liked best. Thanks!